The authors of Word2Vec addressed these issues in their second paper. Treating common word pairs or phrases as single “words” in their model. The authors pointed out that a word pair like “Boston Globe” (a newspaper) has a much different meaning than the individual words “Boston” and “Globe”. So it makes sense to treat “Boston Globe”, wherever it occurs in the text, as a single word with its own word vector representation. wiwi is the word, z(wi)z(wi) is the fraction of the total words in the corpus that are that word. For example, if the word “peanut” occurs 1,000 times in a 1 billion word corpus, then z(‘peanut’) = 1E-6. P(wi)=1.0P(wi)=1.0 (100% chance of being kept) when z(wi)<=0.0026z(wi)<=0.0026. 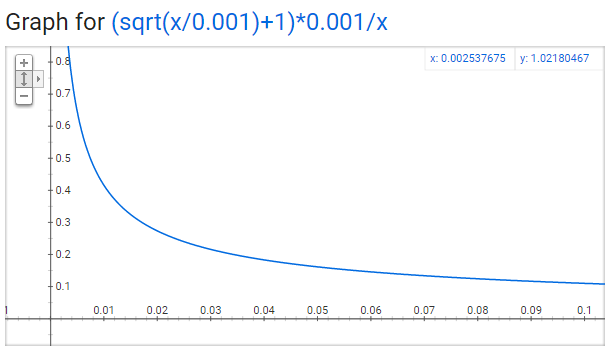 P(wi)=0.5P(wi)=0.5 (50% chance of being kept) when z(wi)=0.00746z(wi)=0.00746. P(wi)=0.033P(wi)=0.033 (3.3% chance of being kept) when z(wi)=1.0z(wi)=1.0. That is, if the corpus consisted entirely of word wiwi, which of course is ridiculous. You may notice that the paper defines this function a little differently than what’s implemented in the C code, but I figure the C implementation is the more authoritative version. The “negative samples” (that is, the 5 output words that we’ll train to output 0) are chosen using a “unigram distribution”. Essentially, the probability for selecting a word as a negative sample is related to its frequency, with more frequent words being more likely to be selected as negative samples. In the word2vec C implementation, you can see the equation for this probability. Each word is given a weight equal to it’s frequency (word count) raised to the 3/4 power. The probability for a selecting a word is just it’s weight divided by the sum of weights for all words. The decision to raise the frequency to the 3/4 power appears to be empirical; in their paper they say it outperformed other functions. You can look at the shape of the function–just type this into Google: “plot y = x^(3/4) and y = x” and then zoom in on the range x = [0, 1]. It has a slight curve that increases the value a little. The way this selection is implemented in the C code is interesting. They have a large array with 100M elements (which they refer to as the unigram table). They fill this table with the index of each word in the vocabulary multiple times, and the number of times a word’s index appears in the table is given by P(wi)P(wi) * table_size. Then, to actually select a negative sample, you just generate a random integer between 0 and 100M, and use the word at that index in the table. Since the higher probability words occur more times in the table, you’re more likely to pick those. 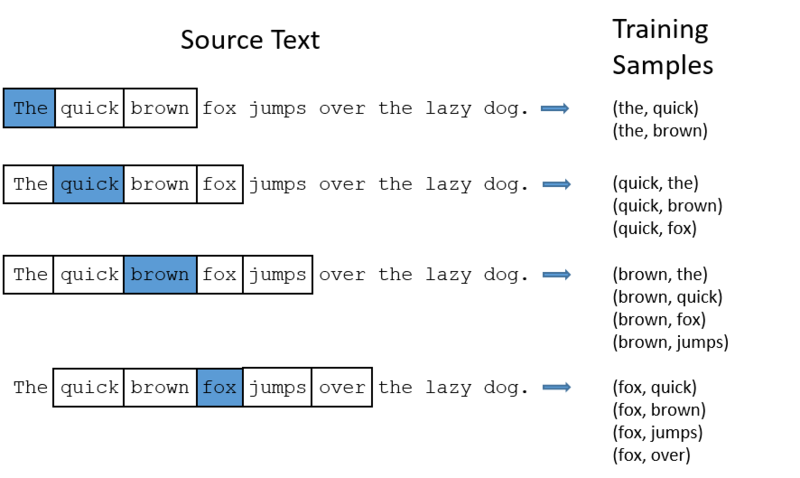 For the most detailed and accurate explanation of word2vec, you should check out the C code. I’ve published an extensively commented (but otherwise unaltered) version of the code here. I’ve also created a post with links to and descriptions of other word2vec tutorials, papers, and implementations.